There are two items in this eBlast: one, a follow up by Shelagh Grant, PaBIA’s Forest and Wildlife Chair and our ‘expert’ on the Pine Sawfly: and a second from the GBA requesting our response today if possible and by Oct 16th at the very latest regarding the Ontario Provincial Proposal to settle claims with the Wiki Native Nations by giving up Crown Land to our north. PaBIA encourages EACH member to write a letter and send it off today. A sample letter is attached for your use should you choose to email it. As the member of the Environment Committee responsible for Forest Health, Shelagh has been in touch with numerous officials with the Ministry of Natural Resources and Forests (MNRF), the Ministry of the Environment and Climate Change (MOECC), Westwind, the TOA and others. Sandy Boeckh, as director of the environment portfolio has contacted others, including the Georgian Bay Association. The objective is to collect as much information as possible on methods of control and prevention to protect our white pines from further degradation. Our underlying goal is to achieve effective coordination and cooperation among all parties and agencies directly or indirectly involved, towards devising the best strategy possible to be instituted by next Spring. It goes without saying that any proposed action will be designed to ensure overall protection of the environment and health of those residing there. 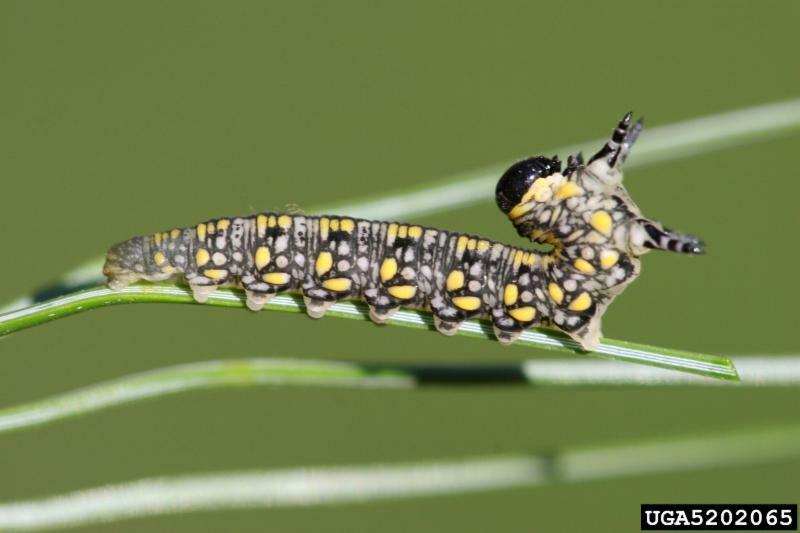 ‘ edges to produce a new generation of larvae. 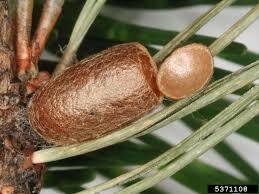 At present, the larvae in the pines, especially the tall ones tend to be far too widely scattered in the trees for any form of spraying to be effective. Everyone should keep an eye out for a tight-knit gathering of tiny worms that have just emerged from their egg sacs on small trees or lower branches indicating a third generation. Depending on the location and size of such a branch, these might be best dealt with by removing the branch and destroying the larvae in your fireplace or pit. 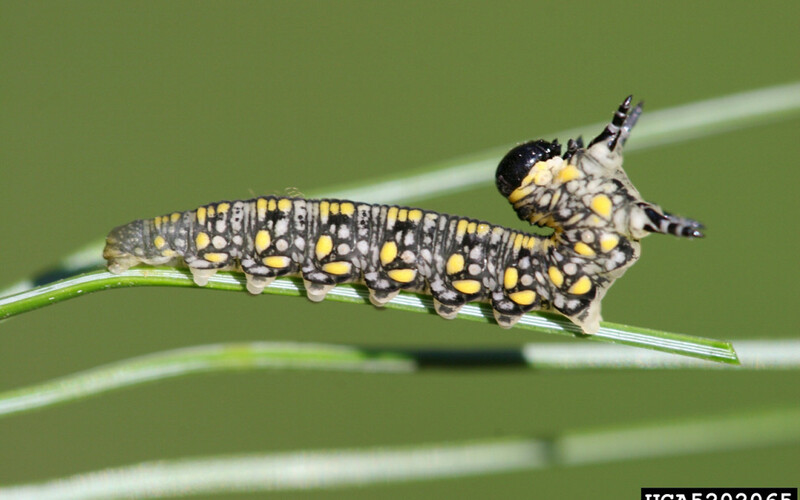 Keep in mind that one larvae = one pupa case = one sawfly = 70 eggs and potential of 70 new larvae. Hence, any closed pupa cases, whether on the ground or a low tree branch should also be destroyed as they can winter over in extremely cold weather. If your trees need water, this should be done by soaking the area slowly with a regular hose to avoid any major runoff that might take precious topsoil with it. 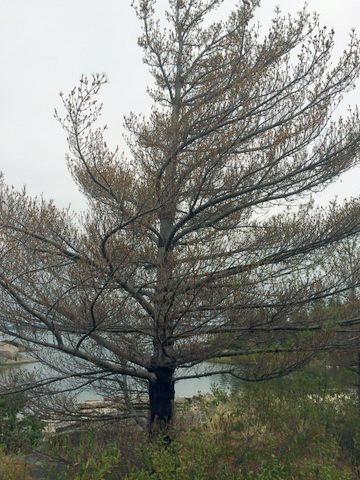 Further reports, especially with photographs showing the extent of defoliation among your pines, are welcome and should be sent to Shelagh to be added to the list. For those with small islands and only a few white pines, we share your heartfelt concerns and ask for your patience and continued cooperation. In the interim, we are all hoping that Mother Nature will assist us with ample rain and much colder weather.